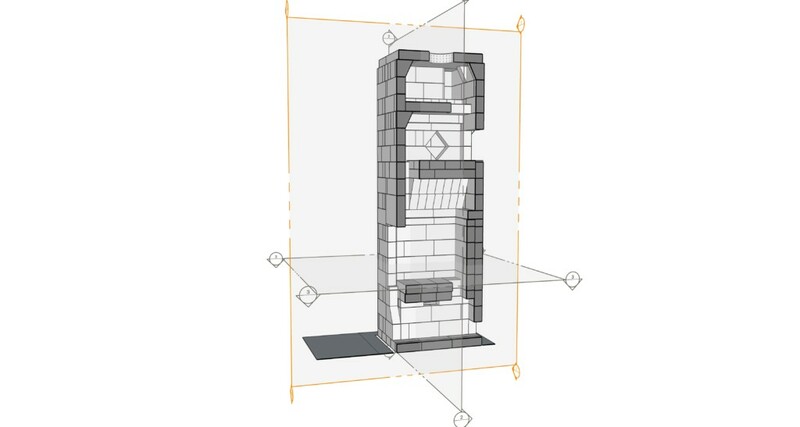 These are the kinds of drawings that I wish I had had more exposure/access to when I was starting out in masonry heater building. It still takes a somewhat trained eye to understand the overall flow of gases through these sections. Further refinement and artistry would render them more understandable still. 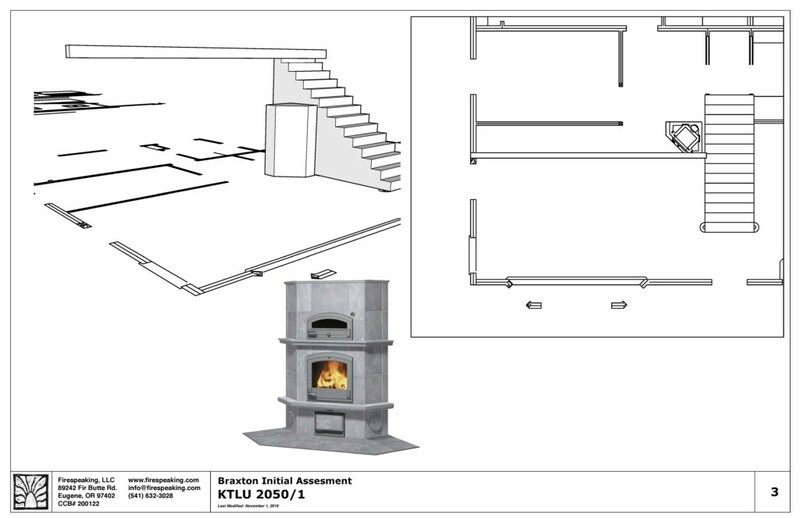 Basically, wood is burned very efficiently in the firebox, goes up and around a “white” oven and then down and around into a heated bench before coming back up and exiting through the chimney. 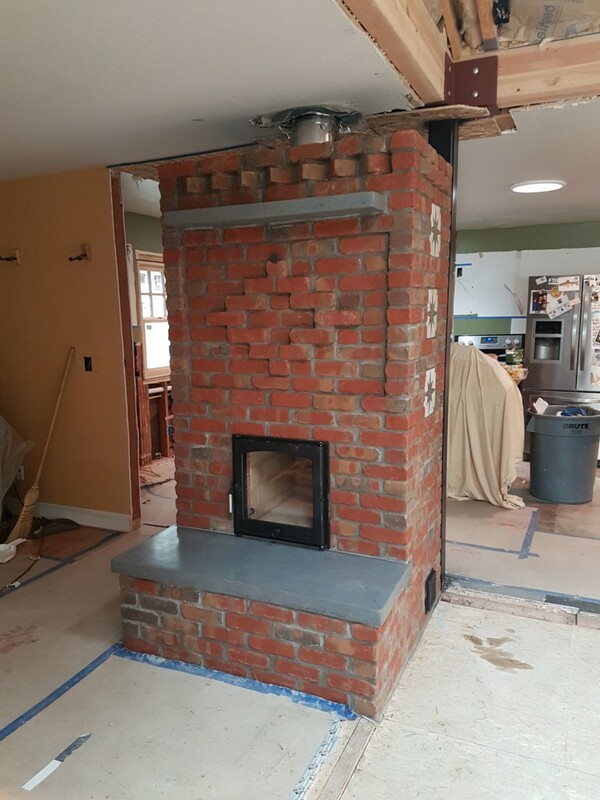 A bi-pass damper will be installed in order to be able to prime the flue. It has long time been a desire of mine to contribute to sustainability and ultimately to peace and happiness. I am hoping to put more energy into communicating through writing and drawings, and also into sharing both the artistic and emotional parts of this process. Subscribing to Firespeaking’s mailing list and/or following us on Facebook are two good ways to stay in touch and show your support! Here are two heaters that we completed in 2018 which are now getting fired up (with early client feedback)! 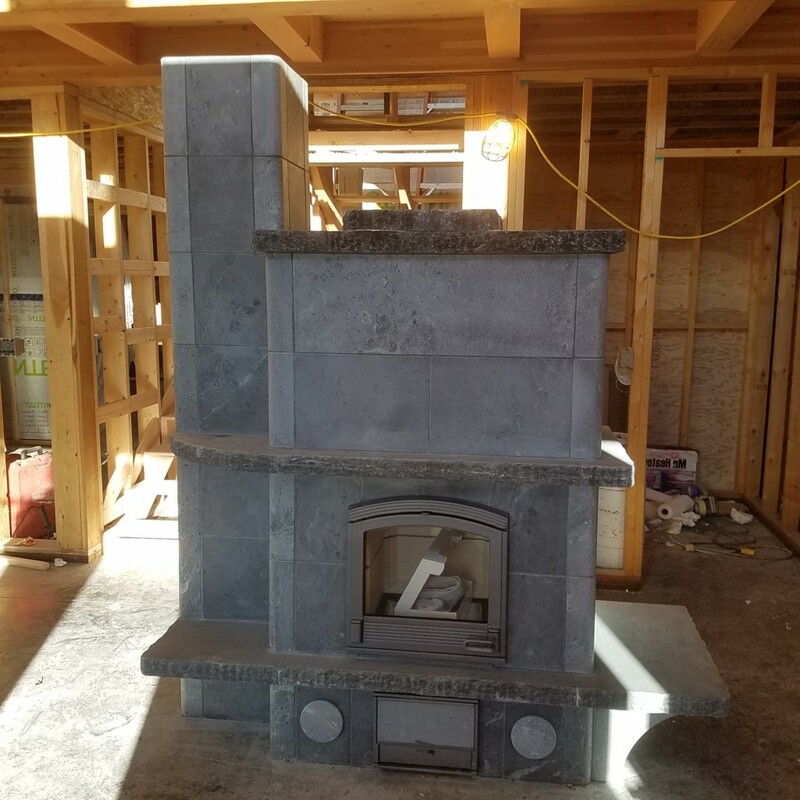 This is an initial photo report of a recently completed masonry heater with inline wood-fired oven built in Grants Pass, OR. 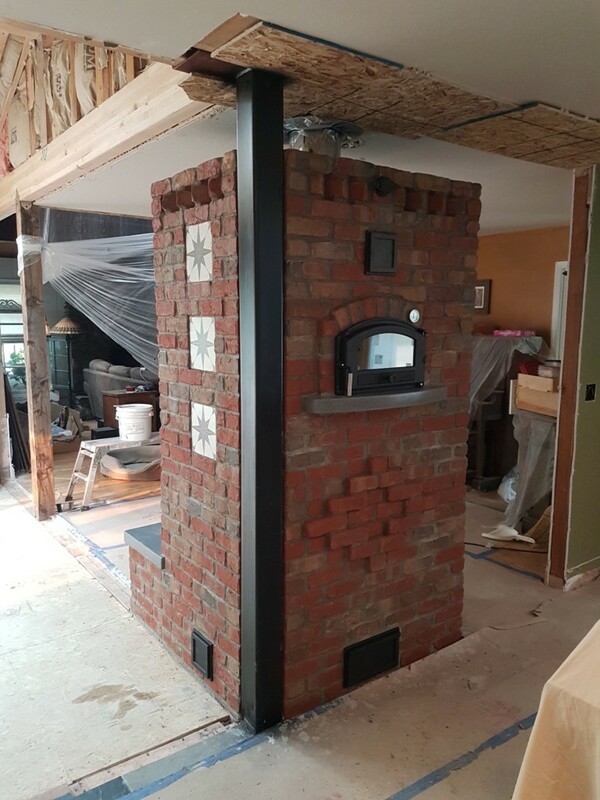 The heater uses Balmoral brick and tile details that the client provided, along with polished concrete details made in our shop. 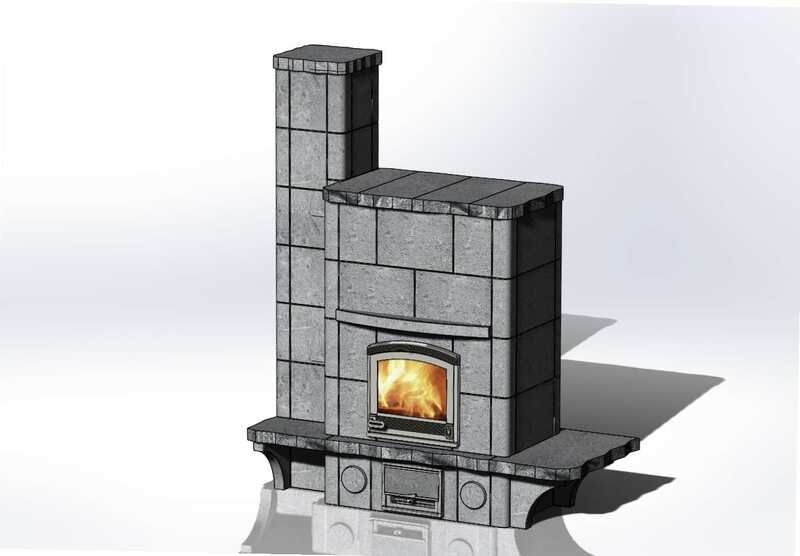 The craftsman: Max Edleson of Firespeaking and Jeremiah Church of Boreal Heat! 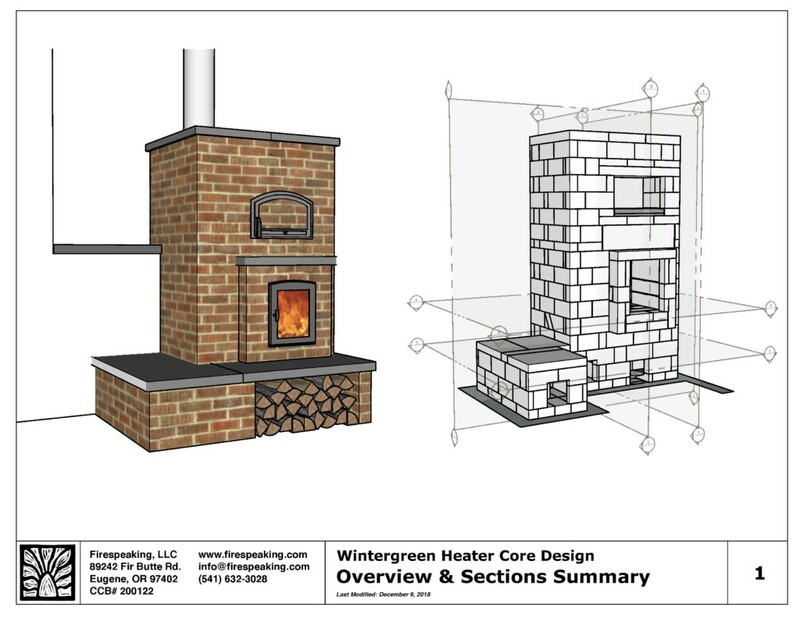 Here are some section drawings for the core of an upcoming custom masonry heater we are building. Firebox facing the living room and oven facing the kitchen/dining. Staircases and masonry heaters both provide essential functions yet take up substantial floorspace. 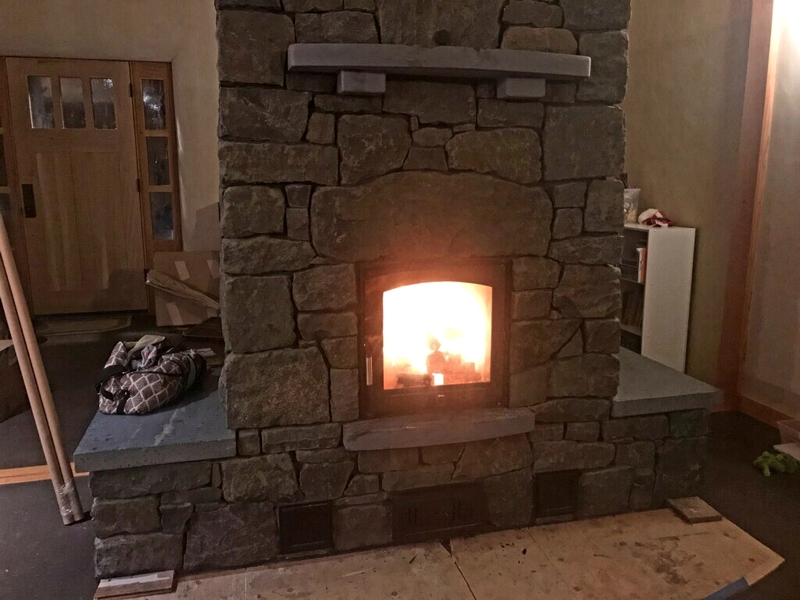 Placing a heater near a stair case requires respecting proper clearances to combustibles and can sometimes lead to tricky finish details or awkward spaces. Why not combine these two important functions into one!? Here are some ideas…. 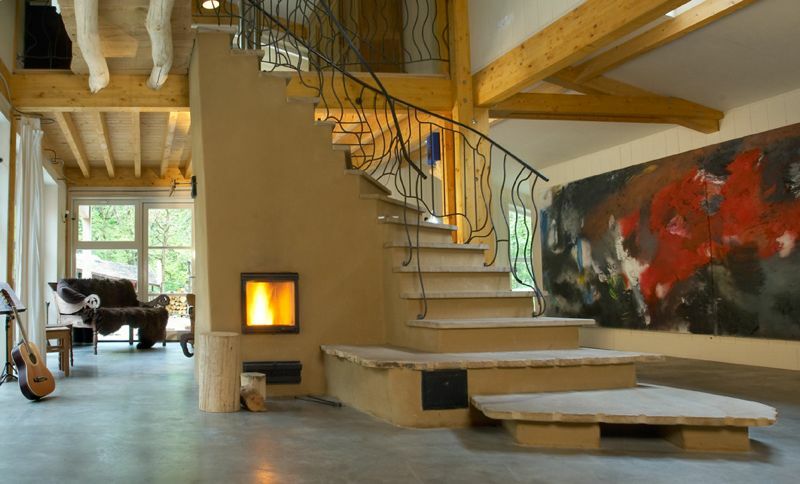 Staircase Heater by Warmstone Heat. Built by Ron Pihl, Dale Hisler and Jerry Jessen. 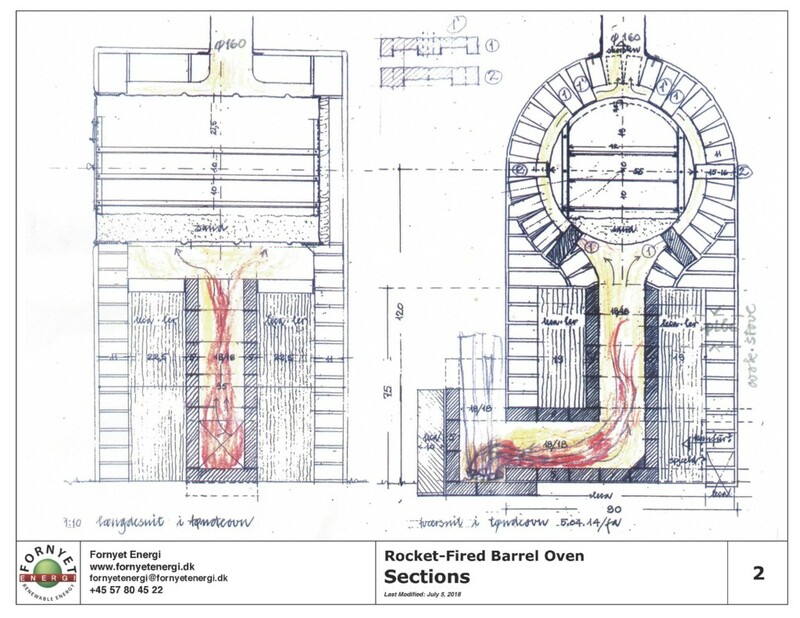 Rocket Mass Heater with heat exchange in staircase by Fornyet Energi. All images used with expressed consent! Let us know about other cool resources. 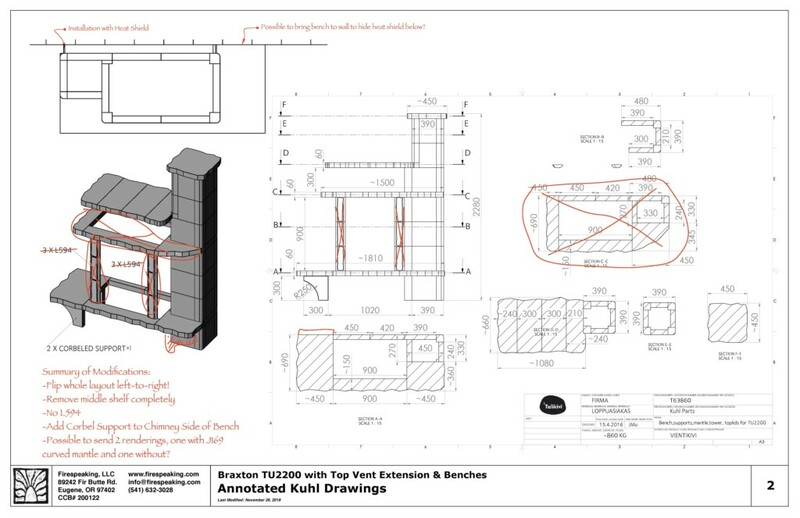 Engage our design services for a custom masonry heater staircase project.